At this week's D9 Conference, almost every big company have declared and have revealed their most exciting new products and services, So as Google is also one of them, Google has launch a coupon website to compete with the GroupOn online coupon service at D9 Conference. 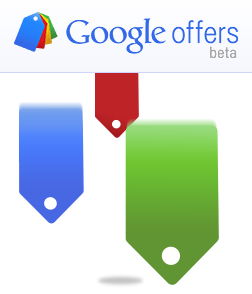 The new service of coupon site from Google is known as Google Offers (beta), a real big competitor of GroupOn. "Google Offers brings you daily deals from local businesses, redeemable for discounted goods or services. From restaurants to spa treatments, Google has deals from the best businesses your city has to offer. Each day, a limited number of deals are available for purchase during a specific timeframe." GroupOn turned down a bid from Google for 6 billion USD in December 2010, according to Bloomberg. As with Google Offers Beta, Groupon also has time limits on their deals, but Google certainly has one ace up its sleeve that will certainly differentiate it from Groupon: NFC. Near Field Communication is a technology used for close range bi-directional communications (for a primer, visit the NFC website's FAQ page). This communications technology has already been integrated into the Google Nexus S, which will eventually integrate with Google Wallet (also listed as beta), a service for mobile devices, allowing your mobile device to make purchases at brick and mortar retailers. As you may imagine, geolocation data can be used to deliver "deals" relevant to your location, and directly to your phone. Currently, Google Offers is only offering coupon services for users in Portland, Oregon and will be expanding, according to the Google Offers website. For more information visit Google official blog about Google Offers.